the Darkroot Garden, the Moonlight Butterfly. the butterfly created by Seath the Scaleless. Can emit crystal light rings. Upgrading the shield increases the parry/strong attack projectile damage slightly. 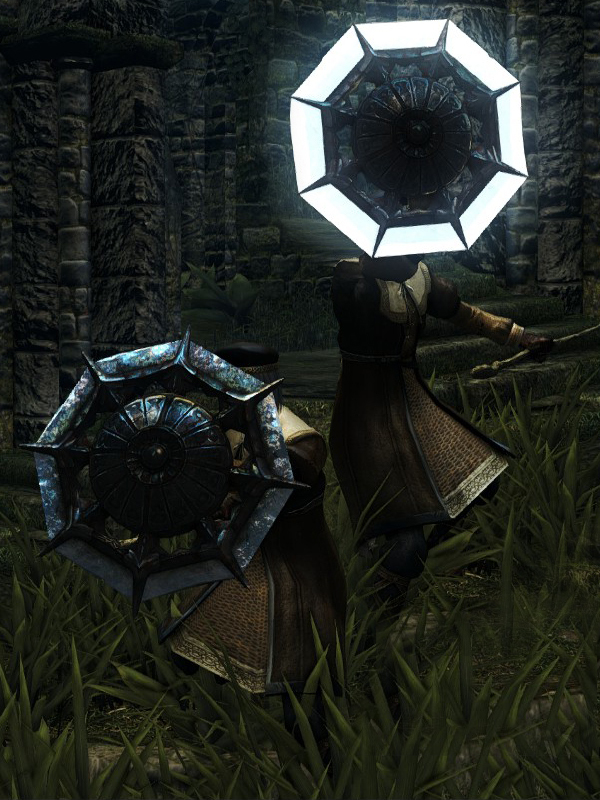 Parry/strong attacks are replaced by a crystal ring projectile attack. Consumes 4 durability points per use.